For many, giving presentations in the workplace causes great apprehension. Reservations can be caused from fear of forgetting content, providing false information, finding a mistake in the work being presented, nervousness causing speech issues, as well as common technological errors (which frequently arise). To help employees feel more comfortable in giving presentations, organizations need to supply training. This month, Mastery released an entire series of Microsoft PowerPoint 2010 courses compatible on its mobile-friendly, third generation Video On Demand (VOD3) platform. Effective training promotes comprehension and confidence in utilizing presentation tools which, in turn, leads employees to create more effective and efficient presentations. 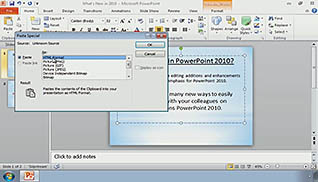 Each course relays advice for tools and techniques in PowerPoint 2010. 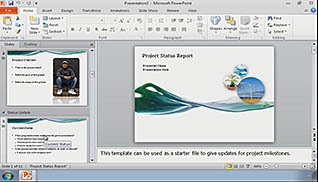 Users with basic knowledge of the program, all the way to advanced users who are ready for optimization tools to further enhance presentations, will feel more confident in using PowerPoint 2010. The courses are also great for employers transitioning their organization from an older version of the program, helping to generate a smooth transition. These courses are available on the VOD3 platform allowing courses to play on any mobile device (plus an desktop) – no matter the browser or operating system. Visit Mastery.com for more information on these courses, along with related Microsoft training course titles. 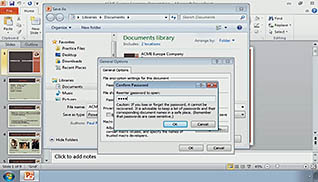 This entry was posted in Computer Skills, Product Announcement, Workplace Training and tagged microsoft powerpoint, powerpoint training. Bookmark the permalink.